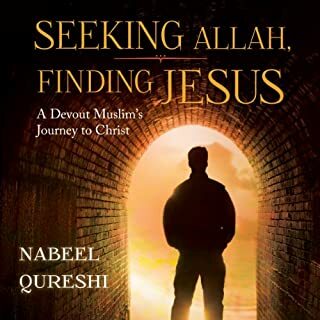 Would you consider the audio edition of Seeking Allah, Finding Jesus to be better than the print version? Very much so, since the author could correctly pronounce the Arabic words and Pakistani names and references. The emotion the author has also comes through at appropriate times. This was an autobiography so this isn't as relevant a question. The friendship between Nabeel and David Wood was well displayed. Which character – as performed by Nabeel Qureshi – was your favorite? This book wasn't performed like some since it was the author telling his story so he didn't make up different voices but told it well, still. I was impressed how Nabeel was able to convey his deep sense of loss of losing his identity as a Muslim and the grief it brought his family. I heard a number of interviews about the book and I felt that I would have missed out if I hadn't listened to the book myself.